Cleaning is not my favorite thing to do, believe me. So the less time I have to spend doing it and the more tricks I can have up my sleeve to make cleaning easier, the better. Even if you don’t have a professional cleaner, you can have access to her secrets. Hallelujah for these professional cleaner tricks that not many people know about! 1. Steam mopping gives you a better clean than products do. A huge mistake many of us make is overusing products, especially when mopping. Using chemical-laden products often leaves behind a residue that dirt and dust actually cling to, making your floors look dirtier sooner. The solution: use a steam mop. Steam mops can reach up to 248 degrees and cleans at the same time as it kills 99.8% of common household bacteria from your floors. Most professional cleaners will bring a steam mop in tow. 2. 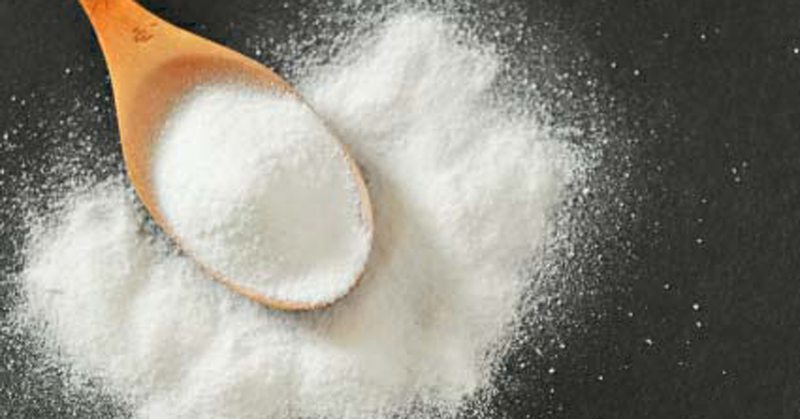 Keep white chalk in your laundry room for this reason. Another trick that professional cleaners have in their magic hat is a piece of white chalk. The reason? To eliminate oil stains in your clothes. Just bought a new blouse and splattered some oil on it while cooking? Rub a piece of white chalk over the grease stain and the chalk will absorb the oil. Wash as usual and you’ll have a perfectly new blouse again. 3. A drop of olive oil is pure magic. If you have stainless steel appliances, chances are you have plenty of fingerprints to go with them. Want to know the trick professional cleaners use to vanquish fingerprints? A simple drop of olive oil. Just take a paper towel, dab it in a little olive oil and rub it into the stainless steel surface, rubbing with the grain. Wipe off any excess oil and voila! Everyone will think you’re a magician. 4. Always have a steel wool pad. If you don’t have a Brillo pad or other steel wool scrubbing pad, put them on your shopping list. These little scouring brushes are life savers in the kitchen and bathroom. These babies will get rid of nearly any built-up scum when you put a bit of muscle into it. Hard water stains are no match for a steel wool pad. Whether it’s on your granite countertops, bathroom tile, or glass shower door, a steel wool pad will remove the scum without scratching. Try it on any type of buildup around the house. 5. Pumice stones for toilet rings. If you see a pumice stone in your professional cleaner’s supply bucket, it’s not for pedicure purposes, it’s to get rid of the tough rings around your toilet. Pumice stones are light, porous volcanic rocks and their often used in spas to remove calloused skin. Pumice stones can do wonders on your feel and they can also do wonders on your toilet. Take a pumice stone, wet it, and then rub it along any tough toilet ring and the ring will disappear. They even make special toilet bowl cleaning pumice stones! Make sure to wet your pumice stone first, as a dry one may scratch surfaces. 6. Baby wipes can pick up tiny hair pieces. Even if you don’t have babies in the house, baby wipes can come in handy in all sorts of situations. You can use baby wipes as makeup removers, to wet down letters and stamps so you don’t have to lick them, to clean deodorant marks off your clothes, and to pick up little tiny hair pieces from pets, beard trims, or hair cuts. 7. Mr. Clean Magic Erasers. Mr. Clean Magic Erasers are pure genius. I don’t know how they do it, but you can get rid of almost anything using a Magic Eraser. The definition of anything includes, but is by no means limited to: permanent marker on the walls, scuffs on your baseboards, coffee stains inside your mugs, crayon markings on your floor, spilled fingernail polish, and much more. You know, it may be a good idea to invest in Magic Eraser stock. 8. The magic potion of DIY natural cleaners. Speaking of magic, try the magic potion natural cleaner that professional cleaners swear by. All it is is 1 teaspoon of cornstarch, 1 cup of white vinegar, and one cup of water. This concoction is the best glass and mirror cleaner out there, and it’s 100% green too! 9. Let your vacuum act as an air freshener. A few drops of essential oil for an instant room refresh. A teaspoon of cinnamon to infuse the room with a warm aroma. Put a dryer sheet inside your vacuum’s bag or cylinder and let it freshen your carpet and your home. Add some Downy Unstoppables for a similar aromatic boost. There’s something about these professional cleaning tricks that are just so accessible. It’s nice to know you can get professional results without a lot of hassle. Try them and let us know how it goes! The post 9 Tricks Professional Cleaners Know appeared first on How Does She.